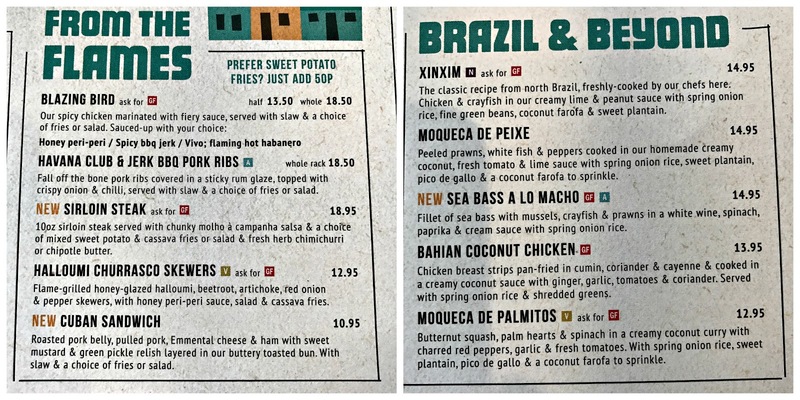 I have to confess I haven’t eaten at Las Iguanas for years and was a bit unsure what to expect. Back in the 90’s (!) I remember lots of guacamole and refried beans. Plus, there was now the additional challenge of two decidedly fussy eaters to consider. 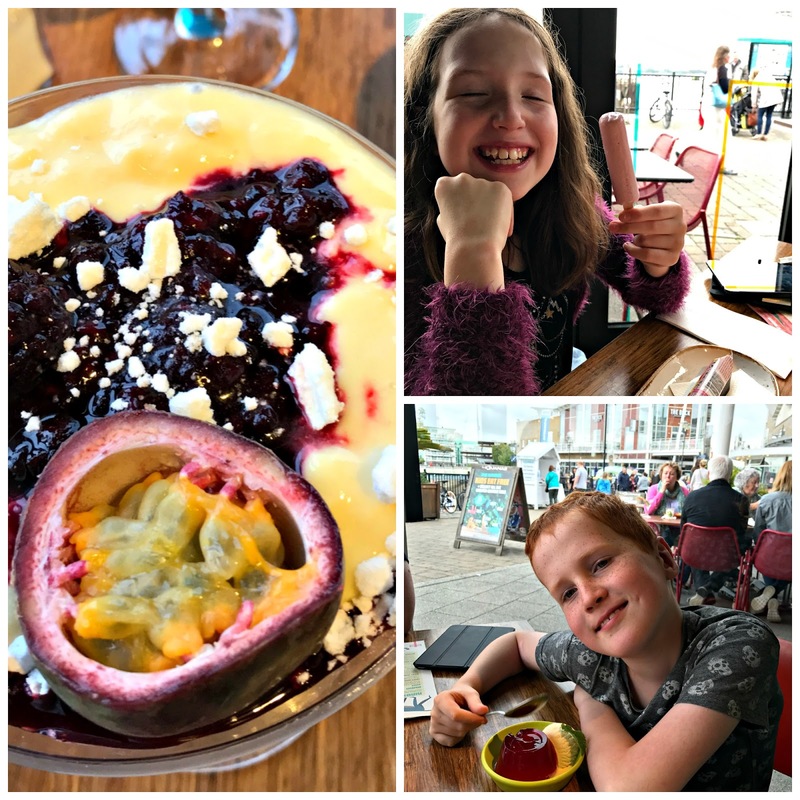 Lured by the promise of one of the new limited edition collectibles from Aardman Studios, Iggy & Friends and the fact that kids eat free this summer when the adults choose a main course from the A La Carte Menu, we decided to try something other than pizza for a change. 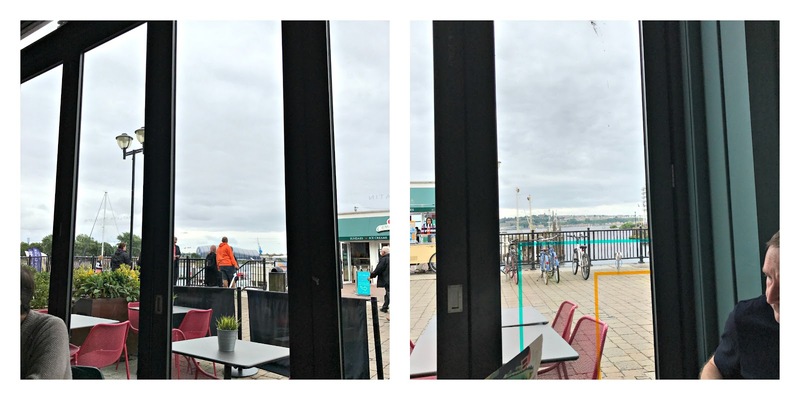 Las Iguanas in Mermaid Quay, Cardiff Bay, is set on the corner of a run of restaurants and commands a great view over the bay and the crowds milling to and fro. It is bright, airy and decorated in a kind of Brazilian feel with lots of wood and warm colours. When we arrived on a Saturday lunchtime, the place was already buzzing and we were given a great table right by one of the floor to ceiling windows. There is certainly plenty of choice. In fact there is so much choice, it took us a good while to decide what to have. Luckily our server, Kasia, was friendly and patient, particularly when explaining to Ieuan that the cocktail he’d spotted with fresh watermelon in the glass was alcoholic and not served to 8 year olds. I always think that kids menus can be a little unimaginative and our two are at the difficult age when, at 9 and 8, their appetites don’t always match the portion size of either the adult portion or the child’s. You are then faced with either ordering an extra side or an adult pudding to compensate. No such problems at Las Iguanas. The ‘Ninos Meal’ costs £5.90 and includes a main course, dessert and a drink. The kids’ menu has a number of vegetarian and one gluten free option (the Wacky Tacos) and in among the usual children’s favourites there are a fair few ‘different’ choices – for example they can have a ‘Crazy Quesadilla’ which is a tortilla, folded, chargrilled and filled with a choice of cheese and cherry tomatoes, chicken and cheese or garlicky chilli, thyme mayonnaise and melted cheese, served with corn chips. Although there is a lunch menu served until 6:30 pm each day featuring smaller versions of some of the A La Carte dishes, the Husband and I opted to eat off the main menu to take advantage of the kids eat free offer. There is LOADS of choice – and at various levels of spiciness. We had some Peruvian Botija Olives (in a herby marinade) whilst we made our selection. Whether you want a Taco Plank (tortillas served with various toppings), a selection of Tapas, steak or chicken from the grill, burgers, Mexican classics, Brazilian dishes or salads, there really is something for everyone. In fact, I’d say Las Iguanas is not really a restaurant you can fully experience in one sitting. The Husband is already planning to return to try the Tapas. I chose Blazing Bird (£13.50), half a succulent spicy chicken kept nicely moist by a tangy barbecue sauce, served with my choice of curly fries and a creamy slaw. The Husband had fajitas with marinated steak strips (£17.50), freshly cooked to order in a mix of spices, onions and peppers. It came sizzling with guacamole, grated cheese, soured cream, jalapenos, roasted tomato salsa and wheat tortillas. The steak was lovely and tender and nicely complemented by the selection of spicy accompaniments. The four tortillas made it a very generous portion. 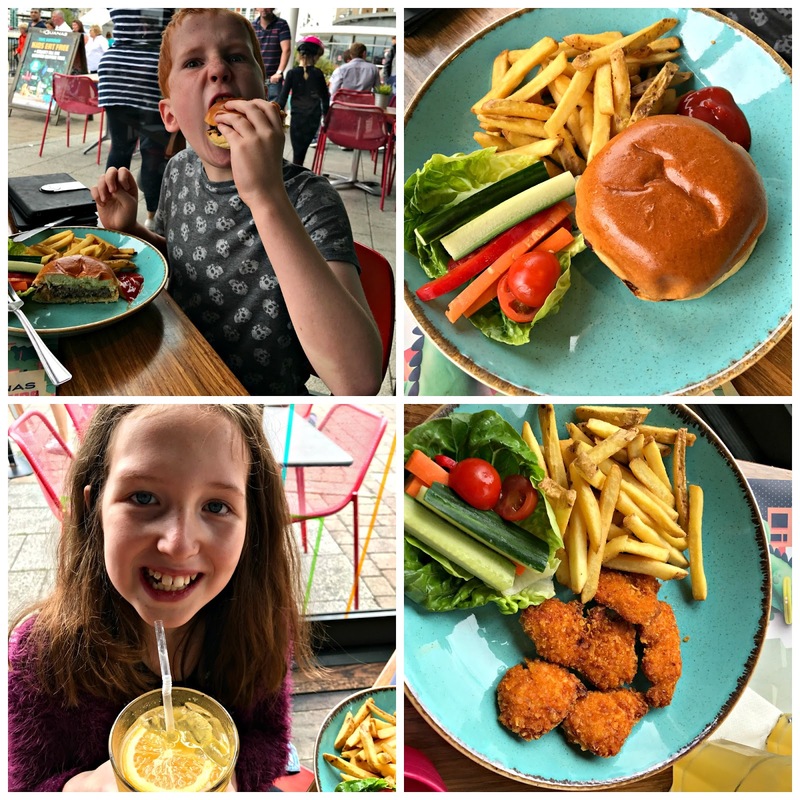 Caitlin chose Cod Bites – battered cod chunks with a creamy mayonnaise dip and fries, whilst Ieuan is going through a ‘cheeseburger phase’ and opted for the beef burger in a toasted buttery brioche bun, topped with melted cheese and served with fries and a ketchup dip. The portion sizes were certainly generous for our two. The Husband finished his meal with coffee but I tried the Maracuya Mess (£5.00), layers of passion fruit mousse, berry compote and crushed meringue. The kids opted for a Strawberry mini milk ice lolly and Raspberry Jelly. Just enough after all we’d just consumed. The kids were introduced to Iggy and Friends designed by Aardman Studios. Iggy, is Las Iguanas’ mascot and he and his Latin pals; Tumble the Tapir, Banana the Llama, Mick the Jaguar, Mischief the Monkey and Santiago the Sloth, were all named by diners in a recent competition. They have now come to life as 3D collectibles, each with an unmistakably ‘Aardman’ expression. There are six toys to collect and younger visitors (suitable for the over 3s) will be able to choose one character each time they enjoy a meal from the Iggy & Friends menu from 22nd July while stocks last. And don’t forget that kids eat free if the adults choose from the A La Carte Menu. We really enjoyed our meal and are looking forward to returning. I’ve never seen Ieuan clear his plate so quickly. 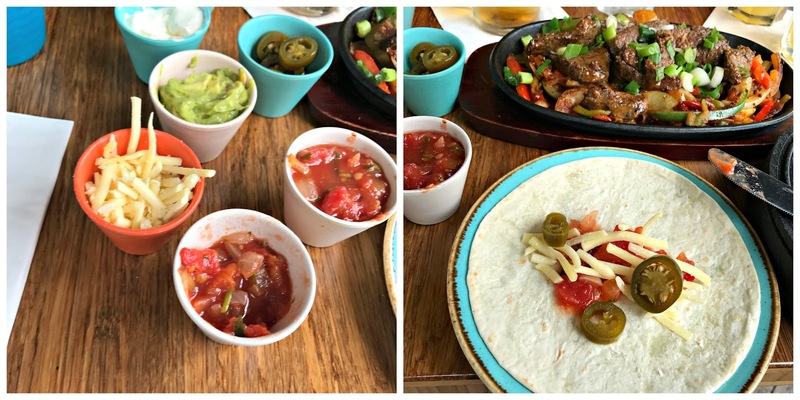 *We were invited to try the new kids menus by Las Iguanas. All thoughts and experiences are, as usual, uniquely ours.